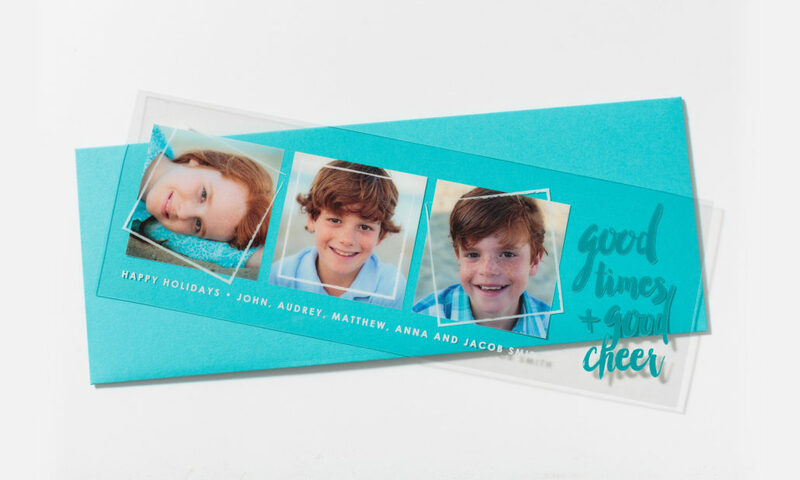 This oversized digital photo card is printed on clear, bendable plastic with space for multiple photos. All printing is on the back, so the front stays smooth and shiny. 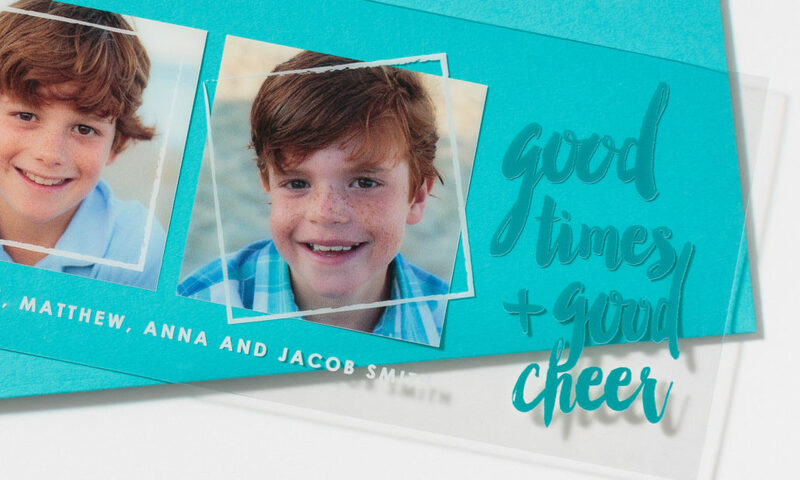 Colors, design and envelope can be customized to match your images.